Founded by John Humphrey Noyes in 1848, the Oneida Community was based on the premise that individuals can be free of sin and perfect on earth, not just in Heaven. The community practiced what has been described as “Bible communism”, in the sense that it practiced a form of communal property based on a belief that freedom from possessions facilitated achieving perfection. At its peak, shortly before it dissolved in 1881, it had a membership of 306. While the community has been disbanded well in excess of 100 years, descendants of the members continue to live in apparent harmony and grace in the shadow of the Mansion House, which was at the center of community life. 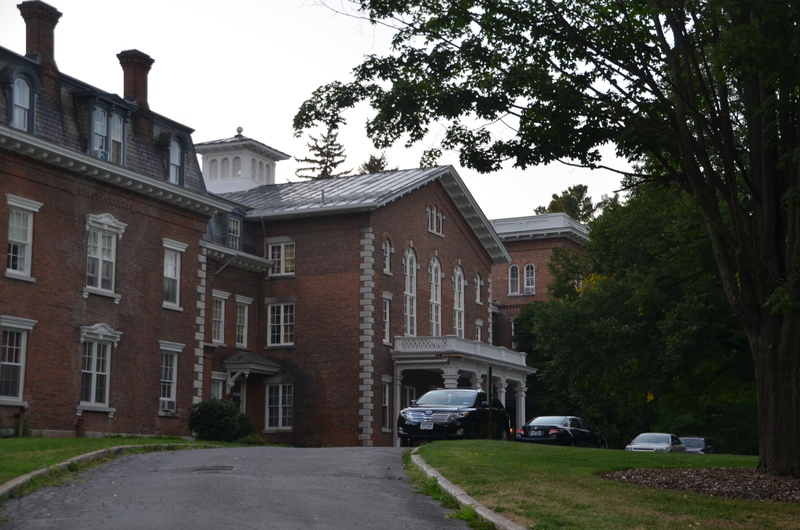 The Mansion House consists of a cluster of buildings sitting in a campus like environment where members of the community lived and prospered. None of the members of my family were members of the Oneida Community, but it is, nonetheless, a part of what shaped our family values. Because my grandfather worked for the Oneida Silver Company, he and my father, aunt and uncle were surrounded by former members of the community and were constantly influenced by the best of its values: equality of the sexes, cultural advancement, education and hard work. To facilitate the complete integration of women into the life of the community, women rejected the heavy petticoats and restrictive clothing of outside society and wore short, but modest, dresses over long pantaloons. Women were included among the leadership of the community. Men and women shared work duties, rotating among those duties so that each person shared in more routine and more specialized tasks, as well as sharing traditionally male and female tasks. Criticism of members of the community was considered a significant aspect of the goal of achieving perfection. Primary reasons for criticism were what was considered inappropriate “special love” such as love of a mother for her birth child that exceeded her love of the children of other women. I am told that the unwillingness of the community to recognize the inevitability of close ties between a mother and her own child was one of the reasons for the downfall of the commune. Victorian values in the outside world may have been another. Squabbling among members surely also took a toll. Pride, vanity were often the subject of criticism. Individuals called for criticism by leaders of the community were expected to remain silent, accept the criticism and use the criticism as a means of furthering their efforts to obtain perfection. 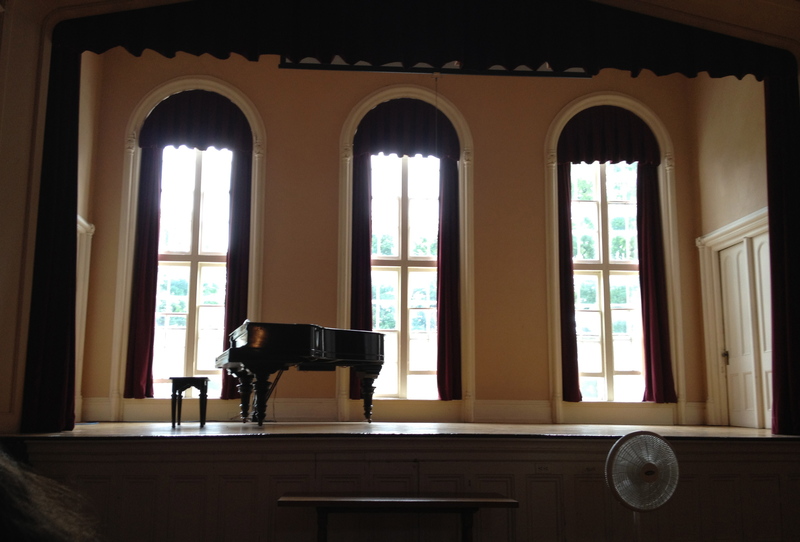 This lovely hall served as a center for cultural events, concerts, meetings but also the location for individual criticism. For many years the community prospered due to its farming, silk and canning operations, but more important as a primary producer of animal traps. After the commune disbanded the founders and their descendants remained closely connected financially and geographically. By about 1899, the former members of the commune, under the leadership of P.B. 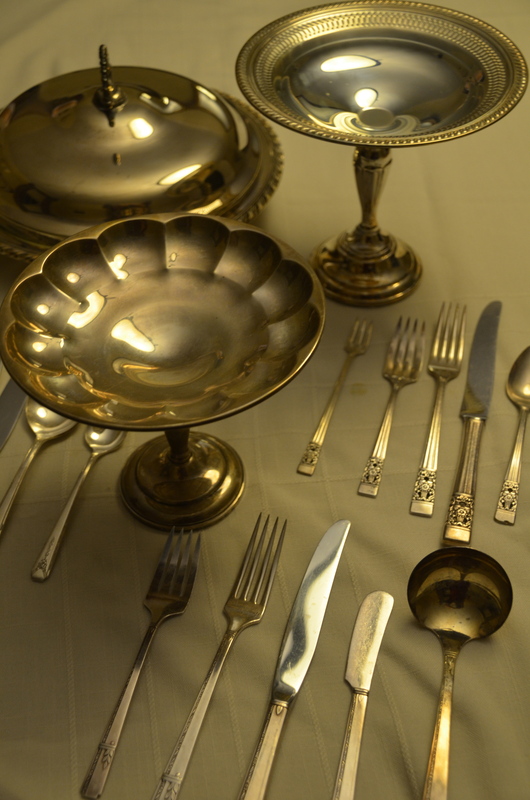 Noyes, son of the founder, acquired a failing silver ware company. Oneida and its employees, including my grandfather, Frank C. Mesle, moved the company from Niagara Falls to Oneida where the company prospered through hard work and innovation. Many utopian values were incorporated into the life of the company, particularly the concept of sharing wealth and sharing economic challenges. Executives of the company were given raises only when raises were given to line workers. In periods of recession and depression, all employees shared the available work such that while their hours and their incomes were reduced, no one bore the overwhelming burden of difficult times. The company reached the height of its financial success in the 1980’s but its revenues declined, and the company essentially disappeared, due to its inability to compete with foreign flatware. But many of the best the values of the community continue to this day. Literature, culture, music and hard work resonate throughout the community. Beautification projects can be seen in Oneida and neighboring Sherrill, NY. even today. This entry was posted in Community, History and tagged Frank Mesle, New York, Oneida, Oneida Community, Oneida Silver, Sherrill, Silver Plating, Utopian Community. Bookmark the permalink. Thanks, Sis. I was fascinated to learn of the impact of the Oneida Community on our parents’ total growing up experience, not just on Grampy’s employment situation. It’s a very satisfying discovery.